The peppered moth Biston betularia has long provided one of the best examples of evolution in action. Work by Bernard Kettlewell in the 1950s showed that a rise in the frequency of a dark melanic form of the moth during the Industrial Revolution, compared to a pale type, was due to differential survival of these two morphs in polluted versus unpolluted woodland. 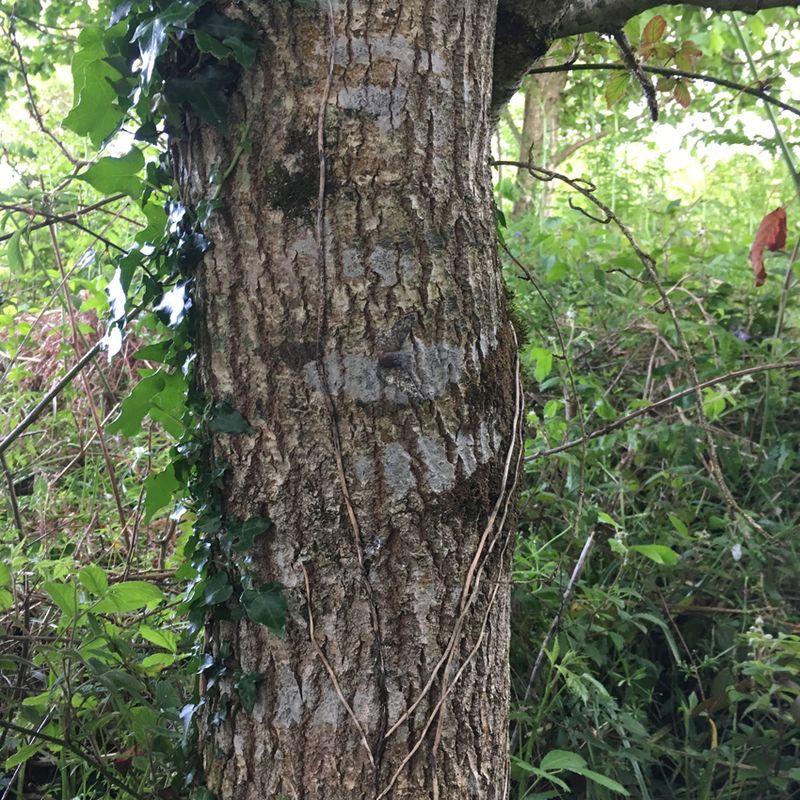 Melanics were well hidden against bare tree bark in polluted locations where lichen was reduced, whereas the pale type was concealed against lichen-covered bark in unpolluted areas. After clean air legislation had been introduced, various studies found lichen populations recovered and frequencies of the paler form increased. Importantly, this example supported Darwin’s theory of natural selection and demonstrated evolution in action over a relatively short timescale. Despite much support from many studies, gaps in our understanding have remained. Specifically, no study had ever tested how well peppered moth morphs actually match the key backgrounds (i.e. quantified their camouflage), nor properly related this to the vision of the moth’s key predators – birds. Understanding this is important because birds have a very different visual system to humans in that, for example, they can detect ultraviolet (UV) light and likely see and discriminate many more colours than us. Our study resolved this by analysing camouflage from an avian visual perspective, before testing survival of the morphs in woodland. Our paper in Communications Biology can be found here. Data collection began by visiting various museum collections, including those at Oxford containing some of Kettlewell’s original specimens. 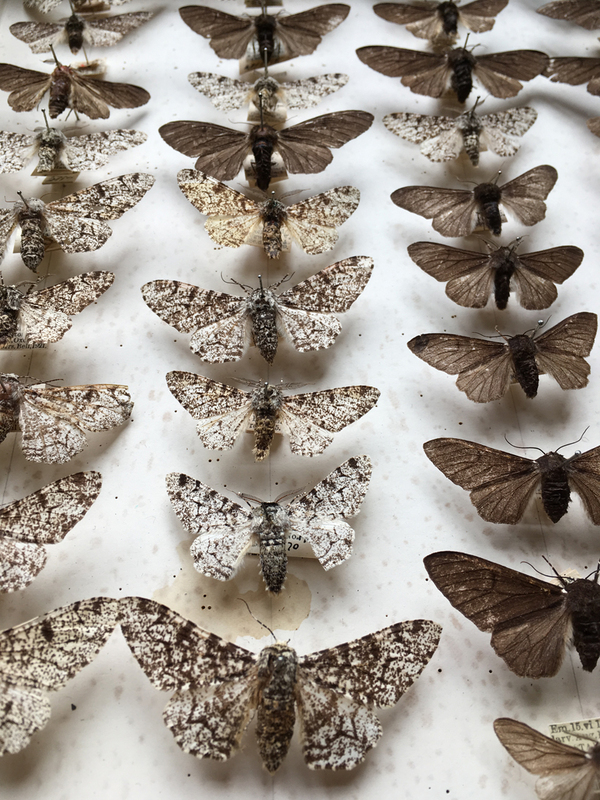 Here, we photographed pale and dark moths using special camera equipment in both human-visible and UV light, as well as samples of peppered moth natural resting backgrounds. From these, we used bird vision models to analyse how closely moths of each type match the backgrounds. As predicted, the pale moths closely matched the lichen-covered bark, whereas the dark moths matched plain bark. We then conducted a predation experiment in unpolluted woodland to determine survival of the two morphs. We used artificial moth targets based on our museum images of moths, with an edible pastry ‘body’ to record signs of predation. 500 moths were pinned onto lichen-covered trees over several weeks and regularly checked for attacks from birds. Our results demonstrated that pale moths had a 21% greater survival advantage against bird predation versus dark moths. Our work directly supports the classic explanation of industrial melanism in the peppered moth, whereby pale moths survive better than dark moths in unpolluted woodland due to their enhanced camouflage against bird predators. More broadly, industrial melanism is not only a key demonstration of Darwinian evolution, but indicates how anthropogenic change can impact species and their interactions with their environment. This was an exciting project, but it wasn’t all hard work – a key part of our regular lab meetings involves study-species themed baking. 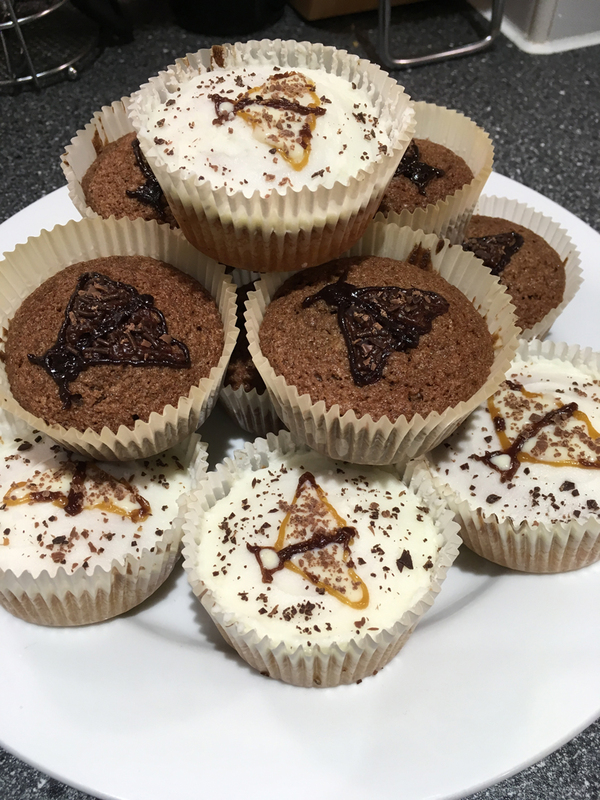 It turns out, peppered moth cupcakes (made by Olivia) are very appealing to human taste too!